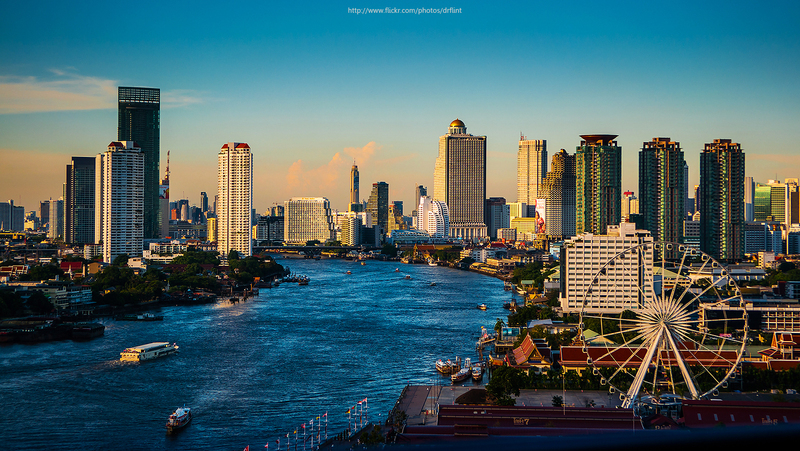 Get an insider’s best tips to this popular winter destination – how to find peace and quiet in buzzling Bangkok as well as less crowded Thai islands and beautiful beaches. Thailand is the land of a thousand smiles, of frenetic city life, of peaceful white sandy beaches, and verdant tropical forests. 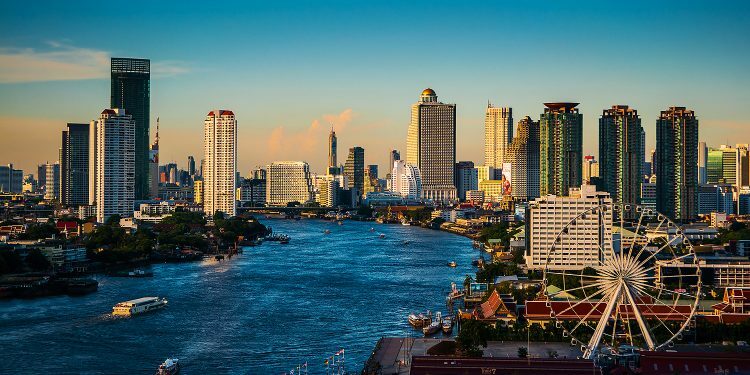 In Bangkok you can drink vodka at an ice bar, eat delicious street food while feeding peanuts to an elephant, watch a muay thai kickboxing fight, or have a beautifully tailored suit made in less than twenty-four hours. 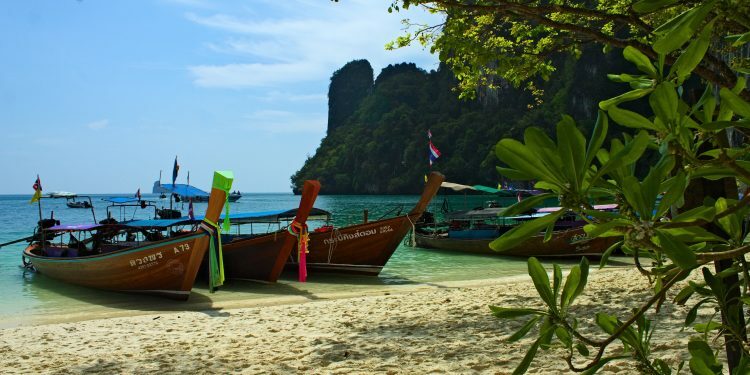 Thailand’s islands entice visitors with endless beaches and immense natural beauty. No wonder 30 million people choose Thailand as their holiday destination of choice each year. 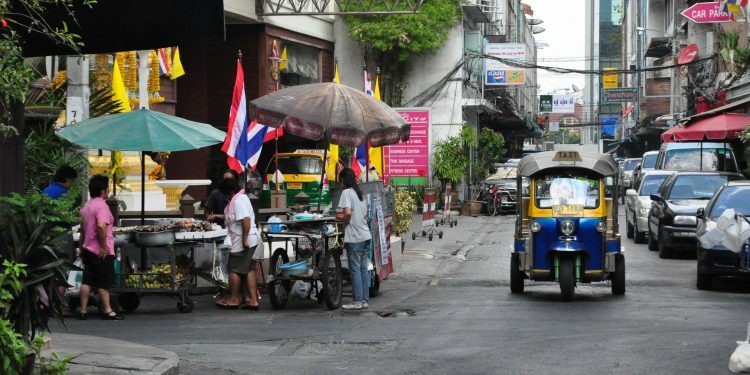 As an expat, who lived in Bangkok for a number of years, I’ve been fortunate to be able to explore this gentle country, and to find the expat hangouts and hideouts that have been tried and tested. 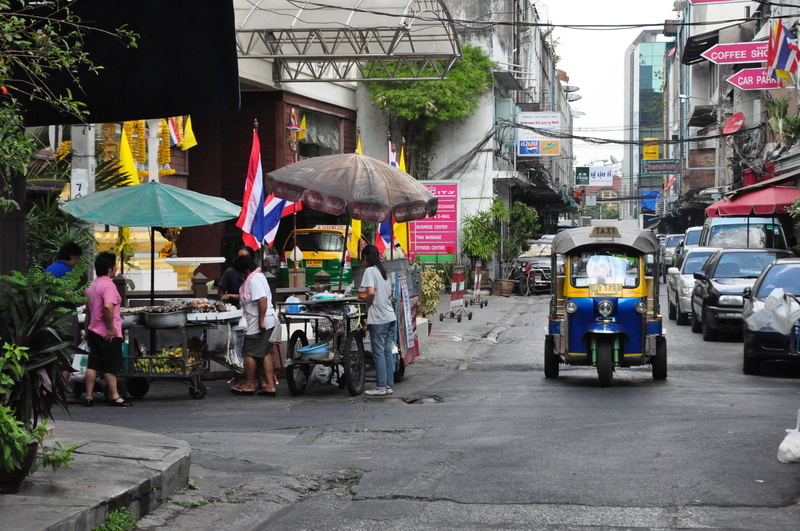 Chaotic, noisy, buzzing with life, Bangkok can be an intoxicating city to visit. It can also be pretty overwhelming and after a long day visiting the Grand Palace or trawling through the MBK Center looking for a bargain (you’ll find many! ), you may feel the need to withdraw to a place of peace and quiet. There are actually numerous ways to find peace and relaxation right within the pulsing heart of the city. Lumphini Park is an oasis of green within the concrete jungle, and offers a blissful respite from the noise of the city. Head to the park early in the morning when the sun is still cool and the grass still damp, and join a free aerobics class. If the pumping techno music is too much to handle at such an early hour, opt instead for tai chi or yoga. Literally just rock up and join in. Location: Rama IV Road, Pathumwan. BTS: Saladaeng. A trip to Bangkok wouldn’t be complete without a full body or foot massage. There is a massage place on almost every corner, and on the whole you’ll get a good authentic Thai treatment. But if you’re looking to take it to the next level; that is total pampering, delicate scented oils, fragrant herbal teas and perfectly peaceful surroundings then visit Oasis Spa at 64 Soi Sawasdee, Sukhumvit 31. Located in a traditional Thai wooden house complete with ornately carved doors, trickling water features and frangipani trees, Oasis Spa will transport you to another world. Be sure to book ahead. Crepes & Co is a popular expat hang out, and serves up the most incredible range of Mediterranean inspired crepes as well as other delicious dishes. It occupies a two-story house and is decorated in a cozy style that makes you feel right at home. It is located in a quiet residential area at Luag Suan Soi 1, off Ploenchit Road. If you fancy some authentic French cuisine, then head to Le Bouchon for a little slice of Paris in Bangkok. Don’t let the address in Patpong 2 (Bangkok’s infamous red light district) put you off, getting to the restaurant is all part of the experience, and you’ll be rewarded with quiet intimate dining, complete with checked table cloths and fine French wine. It’s so French you’ll forget you’re in Thailand! The Seafood Market at Sukhumvit Soi 24 is an absolute must-do in Bangkok. We took all our guests there simply because it’s unique, bizarre and tacky, but so delicious. The Seafood Market’s motto is “If it swims, we have it”, and it’s not one word of a lie. You can find lobster, prawn, king crab, molluscs, fish, octopus; the list is endless. As you enter you’re given a small trolley and invited to peruse row upon row of fresh seafood. Once you’ve made your selection you pay at the check out, where you also specify how you would like your chosen seafood cooked: tamarind crab, garlic prawns and grilled calamari with lemon butter, for example. Your dishes are then prepared by a galley of chefs and brought to your table a few minutes later. It’s a chaotic experience, and a bit like eating at a supermarket with harsh fluorescent lighting, and people spitting prawn shells onto the floor, but it doesn’t matter because the atmosphere is electric and the food is so good. 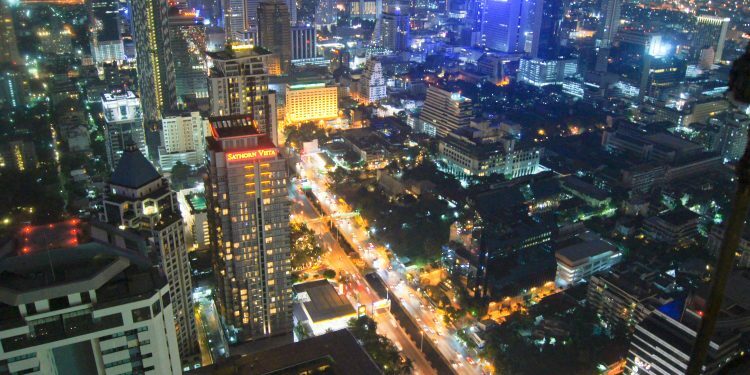 In Bangkok if you’re looking to escape, always go up. The Sky Bar at The Dome at Lebua State Tower may have been voted the best rooftop bar in Bangkok, but it is always crowded and pretty pretentious. 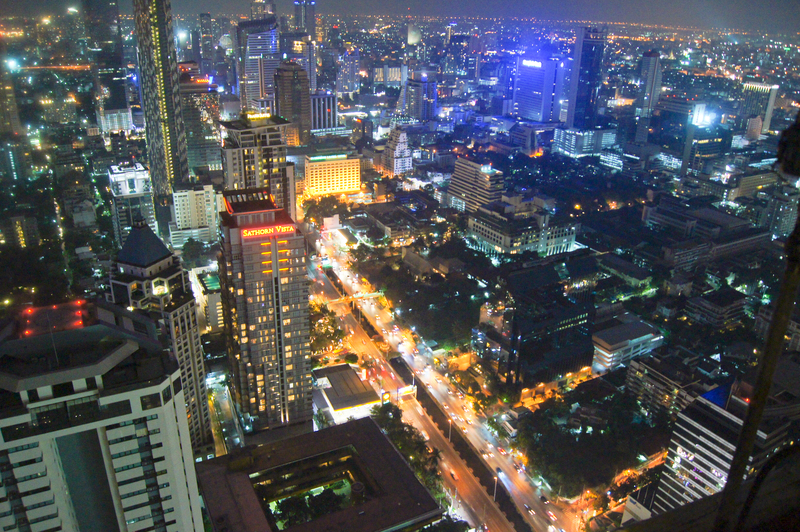 Go instead to the wonderful Vertigo and Moon Bar atop the Banyan Tree hotel at 21/10 South Sathorn Road, and incidentally a stones throw from where we used to live. Watch the sun set over the city and try the lemon daiquiri. Check the dress code before you go, it’s smart casual. No shorts. 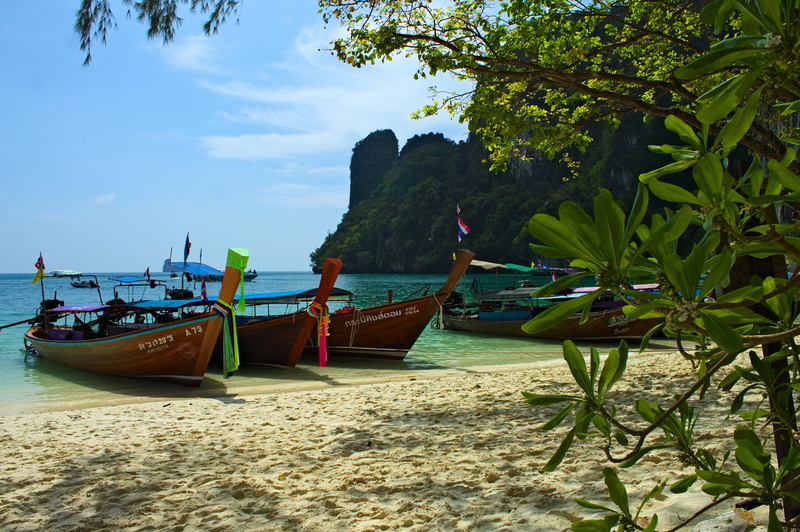 After a few days in Bangkok many tourists head to one of Thailand’s pristine islands. Whilst the pace of life is undeniably slower down south, the popularity of Thailand’s beaches has made it difficult to find a quiet patch of sand away from the heaving masses. During our years living in Thailand we discovered some lesser known islands that are quieter but just as easy to get to and, as beautiful as Phuket, Phi Phi and Ko Pan Ngan. We also discovered that even on the more popular mainstream islands there are still areas that do not attract a huge amount of foreigners. Koh Chang is one of the largest islands in the Gulf of Thailand, a speck in the ocean at the point where Thailand tapers into Cambodia. It’s covered by dense jungle, enchanting and lush, which descends dramatically to sickle moon beaches of soft white sand and azure shallow waters. The Spa, Koh Chang, is a yoga and health retreat situated in the southeastern part of the island at the end of Mangrove Bay and close to the fishing villages of Salak Khok and Salak Phet where village life continues much as it has for centuries. The focus of The Spa is relaxation, which is easy to do, as it is surrounded by lush tropical forests. It is blissfully peaceful and has myriad shady paths and garden areas perfect for quiet reflection. 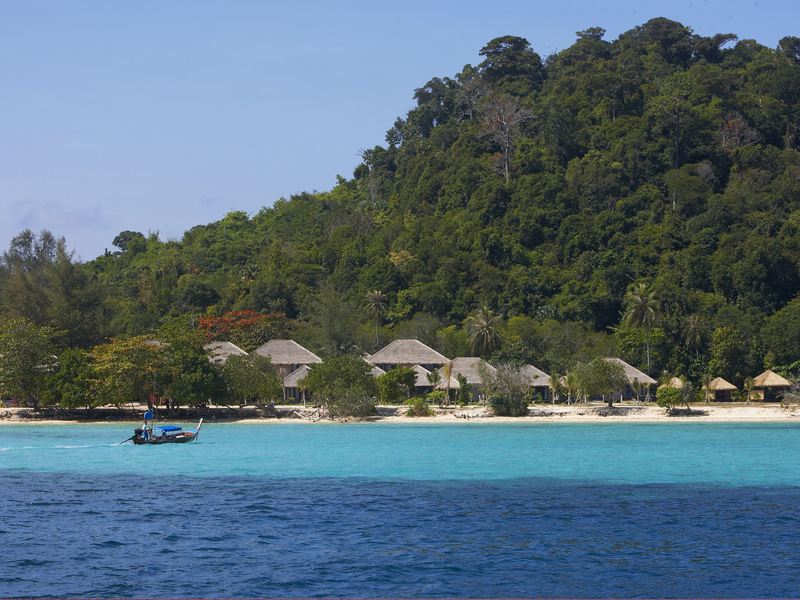 The bigger or more popular Thai islands certainly do have their draw. They are easier to get to, have excellent package deals, and are ‘safe’ choices for a first time visitor. When we first started visiting Railay Beach in Krabi, it was blissfully quiet, frequented only by hippie-types and rock climbers. Those days are long gone, and now long-tail boats crowd the beach during peak season disgorging tourists. Railay West beach is, however, still one of the most magnificent beaches I have ever seen, cradled between breathtaking limestone cliffs and fringed by lush green jungle. If you time your trip to visit in either April/May or October/November, you will avoid some of the crowds, although you may catch some of the rainy season. 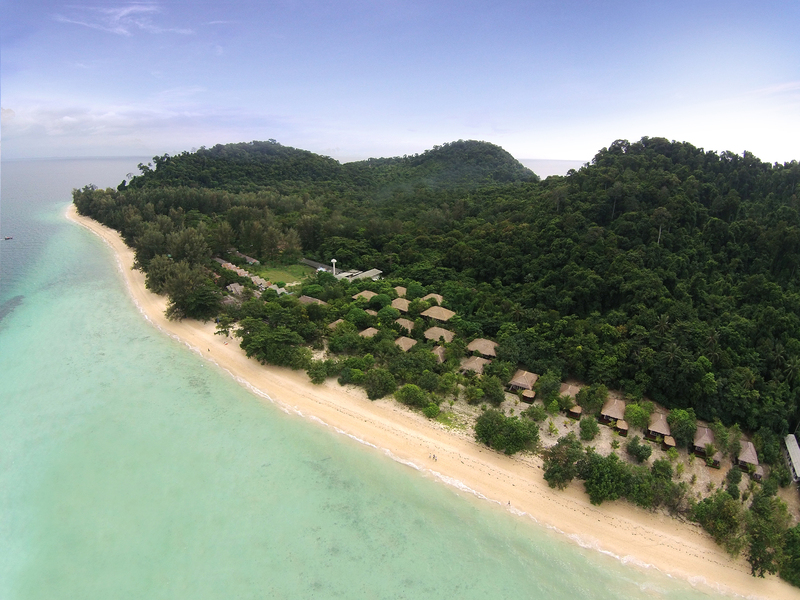 Koh Samui is a large, well-developed island with a busy main town full of malls, nightclubs and major hotel chains. 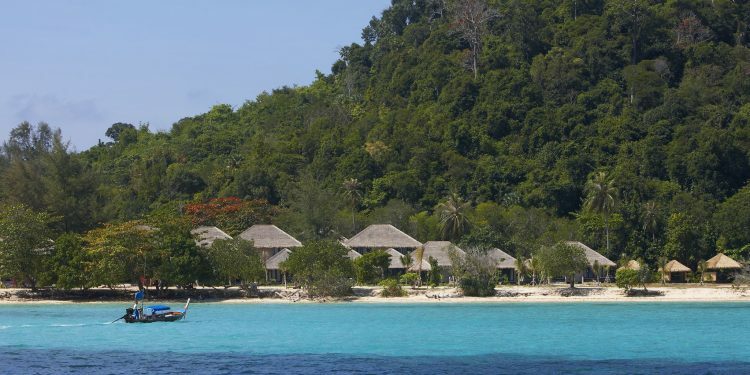 It can be a wonderful family holiday destination with clear shallow waters and excellent amenities. The east coast of the island tends to be more built-up and busy, whereas the northern coast is much quieter and laid back. 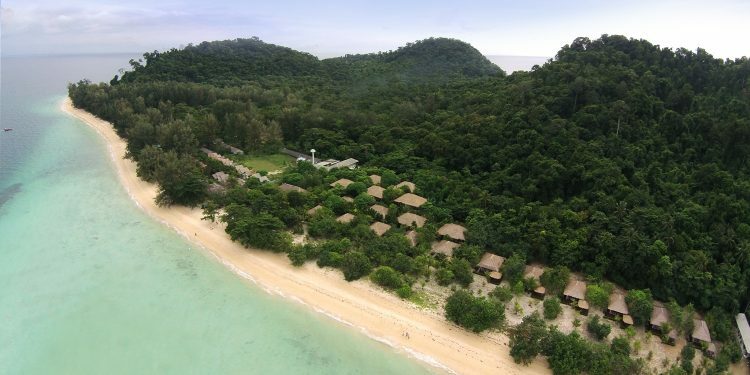 Try Maenam beach or Taling Ngam for pristine beaches away from the crowds. There are many hotels to suit all budgets, ranging from simple cottages on the beach to boutique hotels and private villas. The sunsets are incredible on this side of the island. Enjoy a seafood dinner on the beach with the waves lapping at your feet as the sun dips beneath the horizon. 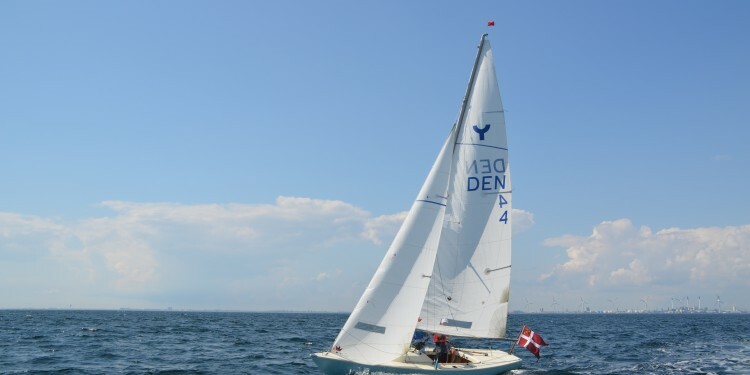 Denmark’s many tour operators, charter selskaber, have Thailand as one of their primary winter destinations – all of their guides speak English. 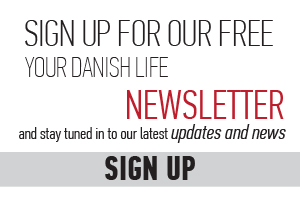 Thai Airways has numerous flights out of Denmark – as does the low cost carrier Norwegian. Last minute deals can be found at travelmarket.dk, an important on-line site which gathers information about package deals from numerous tour operators, as well as simple flight ticket prices.